If you’re a traveler interested in coming to Belize, then surely you’ve poured over the research on flights to Belize. 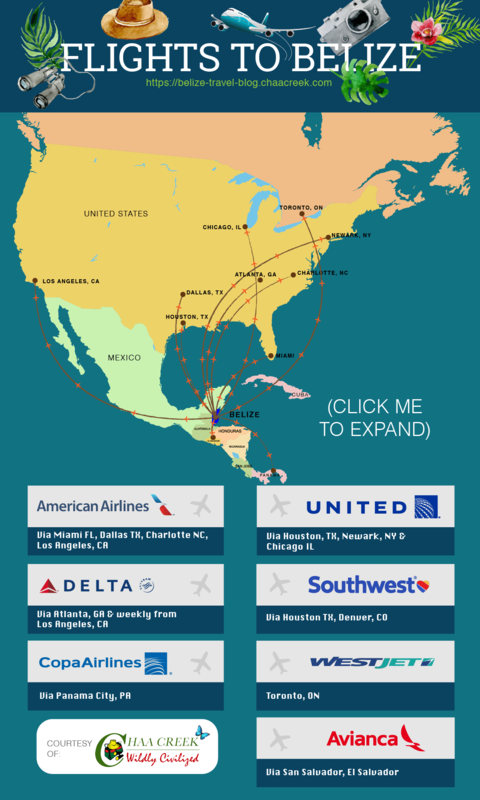 With only short of two hours between Belize and major US gateway cities like Miami, it is no surprise that airlines have been increasing their direct flights and others opening their routes to service the tiny Central American & Caribbean nation. You’ve probably looked up all the attractions, done your research on hotels (or a Belizean Eco Lodge), found a good rental car and maybe you’ve even packed your bags! But the one thing missing from your itinerary is your flight. Flights to Belize should be easy to find; it’s a small country – there’s one international airport but as other travelers would tell you, finding your flight here could be just as challenging as flying anywhere else. Recently Westjet has announced a direct route on their planes from Toronto ON, to Belize City BZE. This route will be available to travelers for the first time on October 29th, 2016, and will be available through April 29th, 2017. Even at just 22,966 km², Belize is equipped with a robust domestic air-travel route system that is serviced by Tropic Air. The latter of the two serving all Major towns and even many minor airstrips with regular running flights facilitation getting from one end of the country to the next in less than a quarter of the time it takes via other modes. Full Tropic Air Flight schedule can be found here. Surely we’re all familiar with the “Book Tuesday 3pm for the best flight deal” myth, and though for a while this did seem to have some science and truth behind it, flying to Belize has never been easier or cheaper. The increased number of travelers coming to, or through Belize has prompted an increase in routes and a dip in prices. Still, some rules of thumb to follow are to book in advance, while there are some flash sales on tickets it might not be so wise to count on them. Some very savvy travelers suggest 60-days in advance when flying internationally for the most reasonable savings unless of course, you’re planning to fly high traffic dates. Talk to the agents. Many times airline computer systems are set up with a modeling system that compares flight frequency and fares with previous years making it somewhat impossible to get the VERY BEST deal on a flight booking online. Talking to a real person, however, can yield quite a different result, agents are familiar with the best times, routes and airlines which to book from making them your actual best bet for savings. Booking flights for low season travel to Belize will see the savings stack up. In addition to many hotels and resorts having discounted prices during the summer months, airlines also have turned up the discount dial which will always favor the consumer, ie. you. Furthermore, don’t be afraid to be Flexible with dates and times. Dawn, Lunch, dinner and overnight flights tend to be somewhat cheaper due to people being less willing to initiate travel at these times. For those willing to go deeper and save even more consider connecting flights or big flight hubs. The direct flight in your mind might not be as frequently traveled as others making the price inch up some more. A connecting flight could put you on to more frequent and thus cheaper routes to your destination, if you’re not in a hurry this may be a good option to consider. Flying to, and through a large airport (a travel hub) might lead you to some savings as well, the popularity of the hub makes flights cheaper and if crowds and layovers don’t bother you this could be an option for you! Tropic Air, Chaa Creek and Belize Go Global!